George Glaister was born in Bolton on 4 November 1896. He was the son of Alfred and Hannah Glaister of Breightmet Hall, Bolton. His father, Alfred Glaister, was proprietor of the Mill Hill Bleachworks of Blair & Sumner. 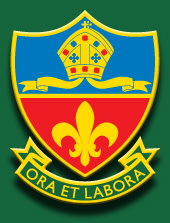 Stephen’s primary education was at Sunny Bank Private School, Haulgh, Bolton. He attended Bolton Church Institute in Forms I and II from January 1907 to 21 December 1908 and later attended Mr Jeffreys’ small private boarding school in Folkestone, Kent. He also boarded with Charles Manning, Private Schoolmaster in Shipley, Yorkshire. He completed his education at Giggleswick School, Yorkshire in summer 1915. The Glaisters were one of Bolton's most prosperous and prominent families. Stephen's grandfather, Thomas Glaister, his brother - also Thomas Glaister - and his brother in law, William Wharton Tong, all served as Mayor of Bolton, as did several more distant relatives. Private Stephen Glaister, Breightmet Hall, has returned to England from France suffering from trench foot or frostbite. He was in the 21st (Public Schools Battalion) Royal Fusiliers, and had been at the front just over a month. Aged 18, he had just finished his education at the Giggleswick School, Yorkshire, when he enlisted in April. It is not known to which hospital he has been sent, the notification having been written whilst in the train at Crewe. Stephen was killed in action in France on Easter Monday, 9 April 1917, while serving as a Private in the 8th Battalion, Royal Fusiliers. He was 20. Mrs. Glaister, of Brieghtmet Hall, received information yesterday morning from a comrade that her son Pte. 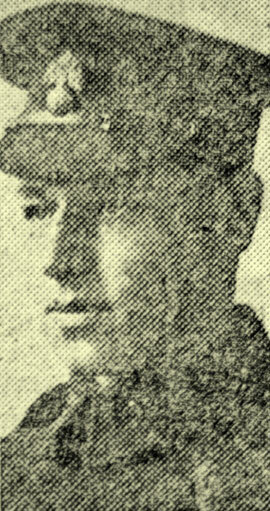 STEPHEN GLAISTER, of the Royal Fusiliers, was killed in action on Easter Monday. The letter states that he was struck by a machine gun bullet, and died almost instantly. The sixth son of the late Mr. Alfred Glaister, bleacher, Pte. Glaister was only 20 years of age. He enlisted soon after the outbreak of war in the Royal Fusiliers, having previously been at Giggleswick School. Some time ago he suffered severely from frost-bite. Two of his brothers - George and Lionel - are serving with the colours. His name appears on the Roll of Honour at St James Church, Breightmet, Bolton. His older brother, George Glaister, was killed in France on 31 July 1917 while serving as a 2nd Lieutenant with the Loyal North Lancashire Regiment. Lionel Glaister survived the war.